Radha Beauty is a new skin care line formed by a beautiful professional ballet dancer and model and created with to embody luxury and a conscience while being 100% natural at the same time. Sound great huh? As a performer, myself, I know that taking care of your look is definitely important if you want to keep dazzling the world. 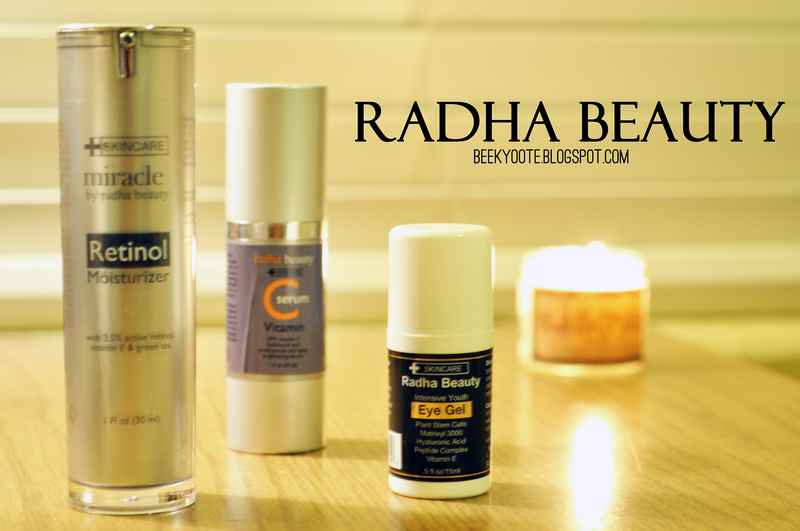 Luckily, Radha Beauty has not only sent the Intensive Youth Eye Gel- currently number one on Amazon's Eye Treatment Creams list- but they also sent me their Retinol Moisturizer & their Vitamin C Serum to try out! Read more to check these babies oit! MOISTURIZES, & FIRMS SKIN - Radha Beauty's Intensive Youth Eye Gel contains a innovative combination of ingredients for superior results. Plant Stem Cells enhance its strength to protect against sun damage and other external aggressors while Hyaluronic Acid hydrates the skin and plumps it up with moisture and Matrixyl 3000 firms the skin. REDUCES EYE BAGS, DARK CIRCLES & PUFFINESS - Our product provides protection to the entire eye area. For best results use this eye gel twice a day in order to restore your skin back to its natural youthfulness and reverse the signs of aging. Our Eye Gel will heal dark circles, eye bags, puffiness, crow's feet, fine lines, and sagginess so you can achieve a radiant, youthful and firm skin around the eyes and all over the face. 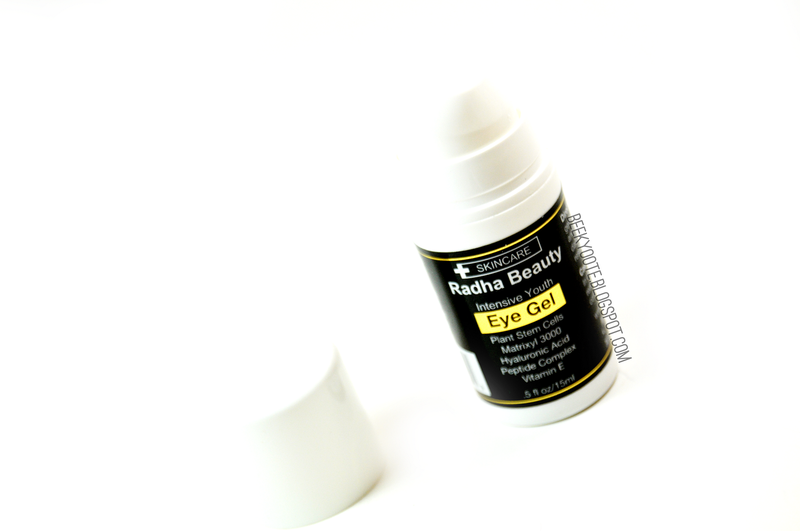 THIS EYE GEL IS 99% NATURAL & 75% ORGANIC - Radha Beauty has created the most effective eye gel on the market - This Eye Gel is 98% natural which will give you healthy and younger looking skin! Amazing! It definitely moisturizes and firm up my skin! I apply it not only under my eyes, but everywhere else. And I love how my skin looks so intact after applying this! I also notice how my eye bags aren't dark nor puffy from all that insomnia lately. This is just great and a must try! 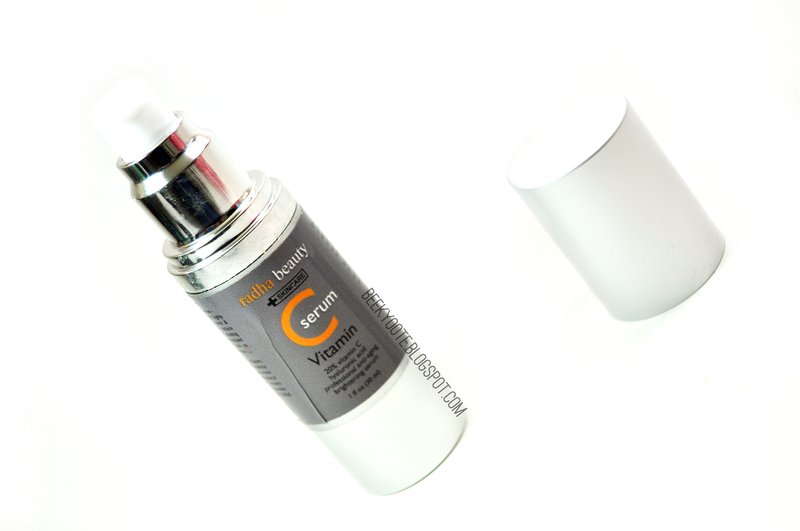 RADIANT AND YOUTHFUL SKIN - This vit c serum is guaranteed to leave your skin radiant and more youthful looking by neutralizing free radicals & is proven to stimulate collagen & reduce fine lines and wrinkles. 20% ACTIVE VITAMIN C - Clinical strength 20% vitamin c serum for your face + vegan hyaluronic acid is the absolute highest quality vitamin c serum available. USE WITH MOISTURIZER FOR BEST RESULTS - Use this powerful vitamin c serum with a high quality moisturizer like Radha Beauty Retinol Moisturizer. CRUELTY FREE & ORGANIC - Vitamin c serum does not contain alcohol, parabens or sulfates and is safe for all skin types. It feels liquid-y and absorbs very fast. It is definitely not meant to moisturize your skin (as stated that you need a separate moisturizer), but I feel that it does help in making my skin feel radiant. I rarely use foundation when I use this and I am told I look fine without it! So, I feel like it does do a good job making my bare skin look good! This is a very rich moisturizer contained within such wonderful packaging! You only need 1-2 pumps to cover your face & neck! It indeed leaves my skin hydrated and smooth, which I love. 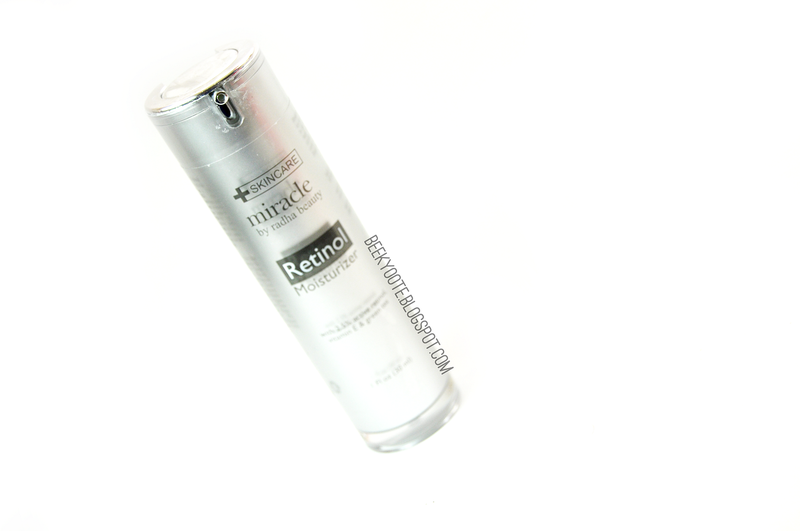 But be warned that Retinol is not for everyone and may cause reactions to sensitive skin. Plus, take note that you must avoid sun exposure when using products with Retinol as an ingredient. I use this at night, to help my skin heal itself as I sleep. I am absolutely in love with the concept of this brand! All natural from ingredients to the packaging with an intention to empower women! Yes! Thank you! Ya'll should check them out and be prepared to fall in love!